Text description provided by the architects. At the end of a long driveway, nestled amongst the neighbouring houses and established Pohutukawa trees, an existing 1960’s brick and tile home sat stubbornly in the middle of the site. 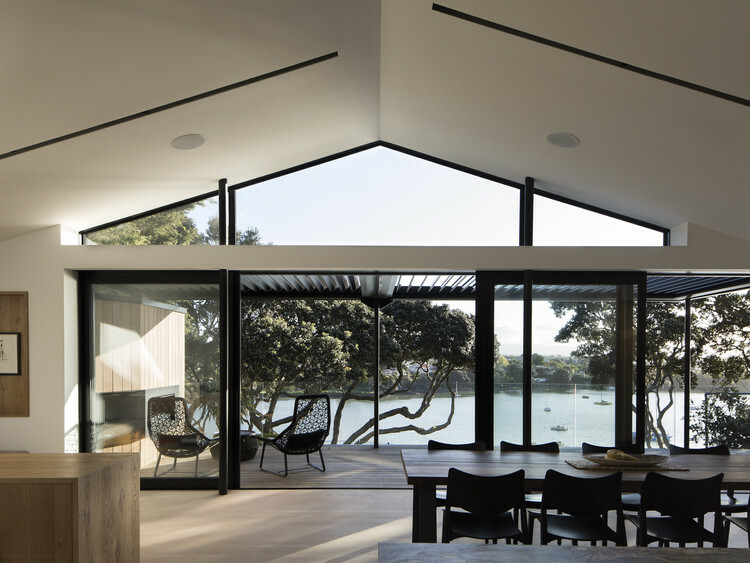 While functional, the existing dwelling provided a confronting car-centric entry and failed to engage with the landscape or the spectacular views over Cox’s Bay in Auckland’s Waitemata Harbour.